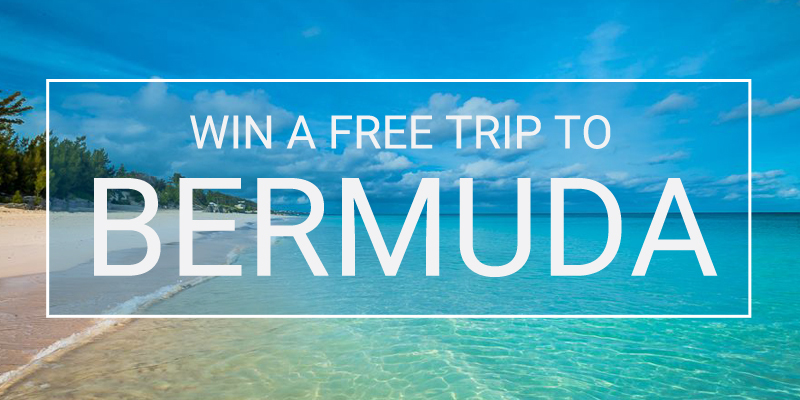 Residents of both the United Kingdom and the United States have the opportunity to pay our beautiful shoreline a visit at no cost, all thanks to three ongoing contests that offer their winners free multi-night vacations in Bermuda! For residents of the United Kingdom, one lucky Times member and their guest will win a six-night stay on our beautiful island, staying at the Hamilton Princess & Beach Club, a Fairmont managed hotel. The winner and guest will take flight for a week of fun and relaxation overlooking the stunning blue waters of our majestic Hamilton Harbour from the vantage point of a Deluxe Harbour View room with an infinity edge pool. Daily breakfast is included, along with one lunch and two dinners at 1609 Bar and Restaurant. The sweepstakes is open to all legal residents of the United Kingdom and Republic of Ireland that are at least 18-years-old, with entry available until 11.59pm on July 5, 2015. For more information and a look at the rules of the contest, please click here. Click here to enter the Times contest. UK residents can also enter a contest by Kurt Geiger and Bermuda Tourism which will send one lucky person on a holiday for two to Bermuda, spending five nights at Rosewood Tucker’s Point and enjoying amazing sightseeing trips around the island, and receiving a Kurt Geiger holiday edit worth £500. The Kurt Geiger contest is open to all legal residents of the United Kingdom, with entry available until 11.59pm on June 25, 2015. For more information and a look at the rules of the contest, please click here. Click here to enter the Kurt Geiger contest. If you’re an American who dreams of paying our pink sands a visit, simply subscribe to Triathlete Magazine or sign up for their e-mail newsletter and you’ll be entered to win a trip for two to our stunning shores, which played host to this year’s Triathlete magazine swimsuit shoot. In all, the prize includes airfare up to $500 per person, a three-night hotel stay at Grotto Bay Beach Resort, and a cliff jumping experience for two. The contest is open to all United States residents who are at least 21-years-old; entries must be received by 11.59pm PST on July 31, 2015 to be eligible to win. For more information and a look at the rules of the contest, please click here. Click here to enter the Triathlete Magazine contest. For residents of Canada, don’t panic — there is a contest open to you as well – as the ‘Selfie Yourself to Bermuda’ contest also offers you the chance to pay us a visit with no costs attached; click here to learn more. To keep up with the latest and greatest sweepstakes and contests offering free trips to Bermuda, click here. For more information on flying to Bermuda, click here. To learn more about the island’s many beautiful hotels, click here.